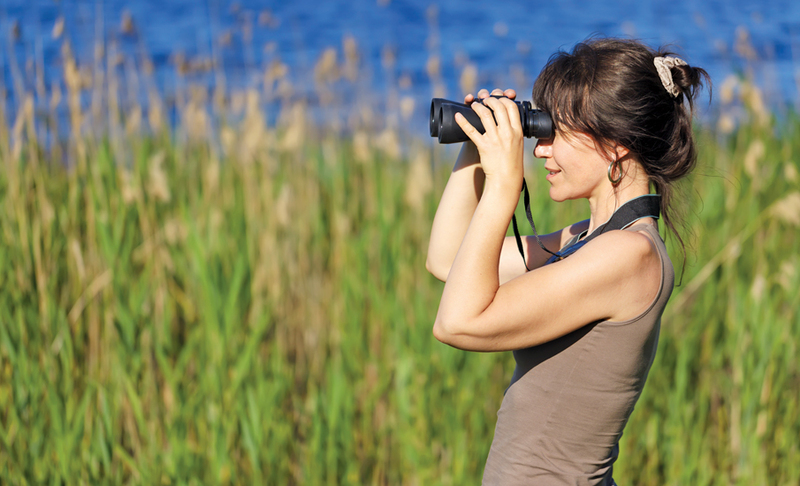 The vibrant world of bird-watching captures the attention of nature lovers of all aptitudes. An osprey plummets into the smooth, glassy surface of the water, breaking its tranquil flight for only a moment to catch a fish. A raven soars high above a canyon, dropping a stick to another raven below simply for the sheer delight of the game. 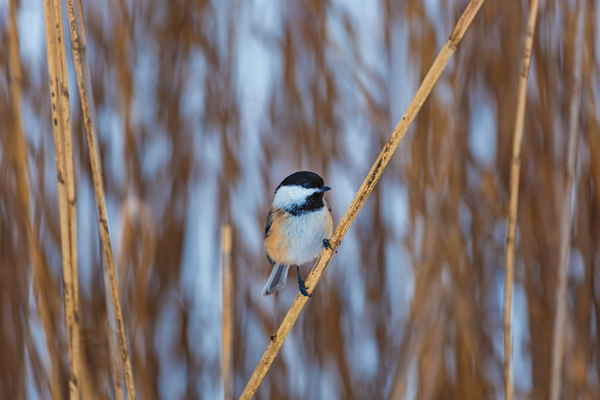 A chickadee on a backyard feeder in the Midwest calls to another in its eponymous song. These everyday activities delight bird-watchers of all ages and skill levels, sending them into the great outdoors to witness the inspiring sights for themselves. “Watching wildlife and their behavior is something that is hard-wired into people,” says Jeffrey Gordon, president of the American Birding Association (ABA). “We humans are innately interested in having affection for other species. It’s hard to find a person who wouldn’t enjoy watching a deer or an eagle. Bird-watching is a popular activity. In order to spot the creatures high in the sky or on lofty branches, every birder should have access to a few helpful resources. The classic tool is a pair of binoculars; it’s best to choose a waterproof set that isn’t too cumbersome, and having the right power for the job is important. “There are two numbers on binoculars,” Gordon explains. “The first refers to magnification—almost all binoculars are between seven to 10 [times] magnification. The second number refers to the diameter of the front lens [in millimeters]—the bigger the number means more light is allowed in.” A great choice for birders are those that magnify by eight times and have lens diameters of about 32 to 42 millimeters. Spotting scopes offer even more precision and stability. The scope sits on a tripod for a steadier look, and the viewing power is greater than binoculars, often magnifying by more than 30 times with lenses measuring over 50 millimeters in diameter. “People who use spotting scopes are those who like to watch shorebirds [at] the ocean and birds that tend to be farther away,” Gordon explains. Technology can also decode the secret language of the feathered creatures. Record a bird’s song in your smartphone and identify it using Merlin Bird ID, a free app developed by the Cornell Lab of Ornithology. With a few simple questions and location information, the app helps birders sleuth out the animal they just spotted—or heard—and learn about the species in their area. 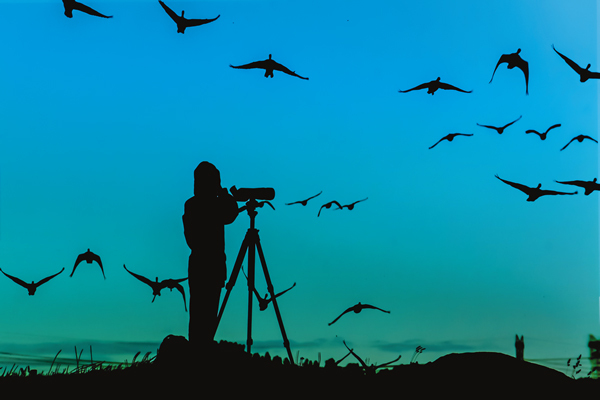 Though there are plenty of resources for budding and experienced birders to learn more about the pastime, many enthusiasts love the hobby for the opportunities to interact with its active community. Some bird-watchers put their skills to work helping scientists track species populations at public bird counts. 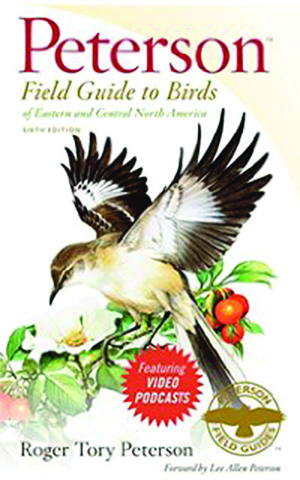 “This is a valuable contribution for scientists and land managers to know where birds are at different points of the year,” Gordon says. One of the most popular is the Great Backyard Bird Count, a four-day event that takes place every February and includes birders in more than 100 countries. A similar program, Project FeederWatch allows birders to contribute to national ornithological data by providing information about the species that visit their feeders, gardens and birdbaths every winter. Birders that want to participate in the research year-round can log onto eBird.org. Founded in 2002 by the Cornell Lab of Ornithology and National Audubon Society, the site is an online tool that records species sightings 365 days of the year. Attending festivals is an equally useful way to learn about birds and meet other enthusiasts. These events take place all across the country; for instance, The Biggest Week in American Birding spans 10 days in Ohio every May. The schedule for participants includes guided birding tours, workshops in photography and bird identification, and presentations from distinguished speakers. Though Mizejewski has had the experience of being surrounded by blue-footed boobies in the Galápagos Islands, he says his best birding experience was seen from the window of his car outside of Washington, D.C. While sitting in rush-hour traffic, he watched a bald eagle swoop to stealthily retrieve a fish from the Potomac River. However, reserves, refuges and parks are often the best places to glimpse rare birds or coastal species. The National Wildlife Foundation has highlighted some of the best places for birding in the U.S. On the list is Cape Hatteras National Seashore, a band of barrier islands in North Carolina, where terns and jaegers abound and bird lovers can venture on land or sea expeditions. Also mentioned is Louisiana’s Grand Isle, where springtime is filled with migrating songbirds such as vireos, tanagers, orioles and grosbeaks that rest in forests called oak cheniers. On the opposite side of the country, the Copper River Delta east of Cordova, Alaska, is a remote locale, but the sight of numerous tundra swans, cranes, dunlins, sandpipers and other waterfowl reward ardent birders willing to travel. In fact, up to 20 million birds stop on the 65-mile stretch of land on their way to the Arctic, including raptors such as peregrine falcons. Peterson Field Guides: An easy reference tool, Peterson offers a free version that allows users to quickly identify birds and a more in-depth app that compares more than 820 species by sight and song easily. Both include detailed maps and illustrations, as well as a place for taking notes. Merlin Bird ID by Cornell Lab of Ornithology: After answering a few quick questions, Merlin Bird ID app narrows the search from 400 of the top birds in the United States. The free program includes the lab’s famous selection of birdcalls. Larkwire: The Larkwire app introduces an element of fun for beginning birders. The smartphone- and Web-based app uses a game to help users learn bird songs by ear. It also incorporates tips from Michael O’Brien, a star of recognizing birdcalls. EBird: EBird app uses the help of citizen scientists to log the locations of species for the Cornell Lab of Ornithology. The crowdsourced data is organized into regional maps, hot spots and species data, all available to the public. 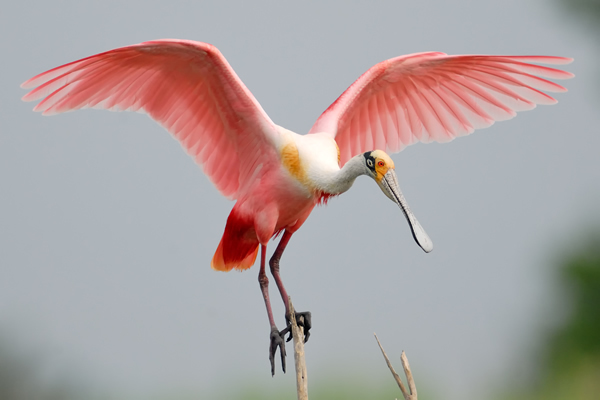 While the roseate spoonbill is normally a Floridian wading species, more of them are winging their way north to nest. What sets the species apart from any other Georgian wader is its pink color and flattened bill, which they use to pick up crabs. Find them in the marsh as far north as Tybee Island. The Sea Island residential bird of prey is the osprey. Also known as the fish hawk, this hunter twists its claws to hold catches parallel to the body, making the bird more aerodynamic in flight. Spot ospreys flying over the shoreline or standing in their huge stick nests atop trees and telephone poles. Birders may recognize the American oystercatcher by its long orange bill that is perfect for breaking open oysters or digging the meat out when the shells are already slightly open. Oystercatchers on Sea Island are found year-round along the shoreline but are most easily spotted in spring and summer. A migratory shorebird, the black skimmer’s most distinguishing feature is its large orange and black beak, which is unique from all other American birds. The midsized bird features a black and white body atop short red legs. To feed, they drop their bottom jaw and skim the surface of the water at full speed. The massive wood stork is a federally threatened species, but many reside in coastal Georgia. This wading bird has a bald head and is a majestic flier with white feathers and black tips. Look for the bird’s stately down-turned beak when kayaking; it’s possible to see groups of 20 or 30 together.